I made this photograph on January 18, 2014 at Rio Del Mar Beach just after sunset. 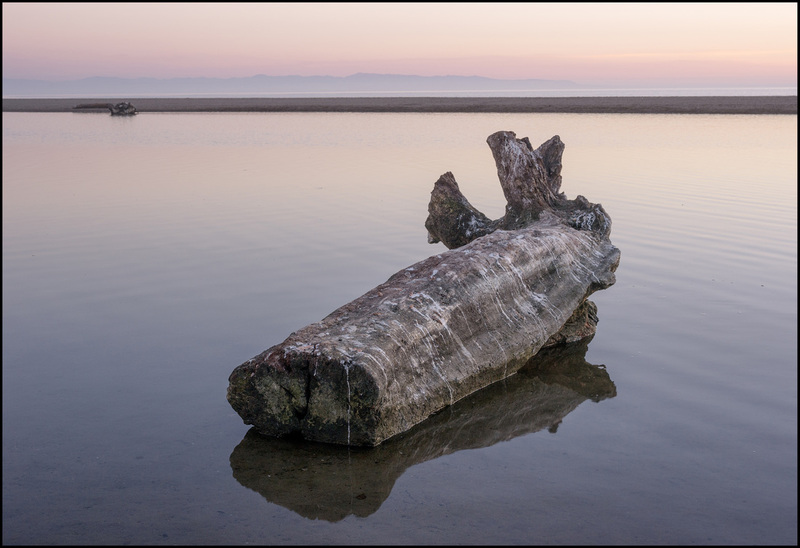 Although it is at the beach the log is in river water not the bay. The bay is beyond the sand in the upper part of the image. For this image I used 2 Samsung NX100 digital cameras on a tripod 5 inches apart. The exposures were 1/10 second at f/8 (ISO 100). The shutters were synched with a wireless remote shutter release. The lens was adjusted to the 35mm equivalent of 42mm. You can see the image in stereo (3D) in the format you prefer by clicking on one of the following: parallel, cross-eyed, or anaglyph (red/cyan glasses).